Glad to have you back for this week's IBM i Pulse! Each week we'll take a deeper look at the latest IBM i and Profound Logic news. This week we are looking at the great year IBM i (AS400) had and an interview on Database Enhancements. Ted Holt talks More About Merge in the latest IT Jungle article. Take a deeper look into Genie Subfile Detection. Learn the ins and outs of Building and Loading Grids with Profound.js. Here are 4 Fundamental Concepts of Using Profound.js and Node.js. With so much growth this year, Steve decided to get a head start on his 'year-end review' of how the IBM i did in 2018. According to Power Systems revenues were up 17 percent from the same quarter last year and IBM i itself has now had 4 straight quarters of growth! The most amazing part of that growth story is that Power Systems as a whole did not have any new systems driving the growth for the first two of those quarters, so the growth of IBM i was not tied to the refreshing of systems or new tech, but to the ability of the IBM i. Current clients are purchasing more IBM i capacity as business grows or they are moving their workloads from other environments to the IBM i. All reasons to celebrate! Another reason to celebrate is the 30th anniversary of the IBM i was this year. The 30th anniversary still is bringing in stories of success and celebrations around the world with clients and the IBM i team. From Florida to Germany to Japan to Texas... this year has been a whirlwind of celebrations and reflection on how far the IBM i has come from its roots as iSeries and AS400. 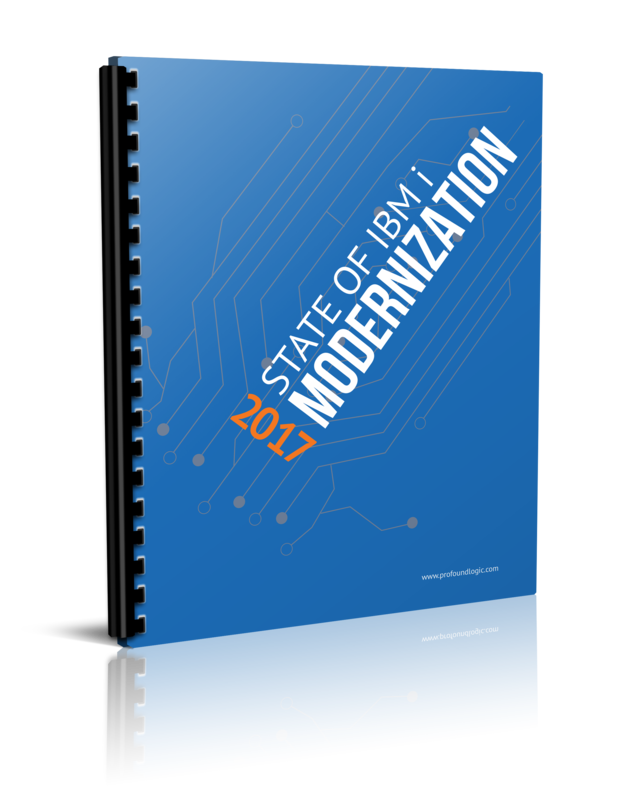 "We recently announced enhancements for IBM i 7.2 and 7.3. We're enhancing for database both of those releases for many different roles in the operating system, whether it's performance, application development, systems management, database engineering, database administration or even some newer technologies that need to find a path to the business. We've got database enhancements for all comers. Some of my colleagues and other business architects have enhancements as well, but my focus is on the database and there is a myriad of enhancements coming out here in September." "All right. Another area is this thing called IBM i services, you know the ability to use SQL to manage the operating system. I think we've got some good traction on this topic. I hear from lots of clients both what it is doing and they are pleased that they are able to use SQL to manage the operating system, but also their ideas for future enhancements. Work management got special focus on this latest TR cycle. " "The earlier TR this year, there were really no database enhancements. I attribute that to the team overachieving in 2017. If you look at the fall TR in 2017, it had major deliveries and there were multiple of them. We rounded out our Java script object notation support in the database and delivered many other enhancements."